I BELIEVE CREATIVITY CAN SAVE THE WORLD. HERE'S WHY. While complex global systems intensify, we are being called back to a time when creativity was both an essential part of survival and an integral part of human expression. As I watch the incredible turbulence gripping the planet right now, I find myself dreaming about a radically different kind of future – one where our Earth is in balance and all living beings are treated with dignity and respect. My soul yearns so strongly for this kind of reality, and I do believe it’s possible, but not without a massive shift in how we think and act. Of course I love to play with color and create beauty in the world, but what drives me to paint on a deeper level is all undeniable growth I experience from the creative process itself: Learning to let go, to trust, to think outside the box, to listen to my intuition, to be more courageous, to come up with new solutions to problems, and to embrace the mystery along the way. Inevitably, all of this “practicing” on my canvas allows me to show up in my life and community in a more fortified way. And this is what drives me to share and teach. Over the years, I’ve witnessed so many people’s lives change when they start to connect to their creativity, and I know how this kind of transformation ripples out into the world. And, whew, do we need it more than ever! Creative Revolution Early Bird Pricing Ends Friday. 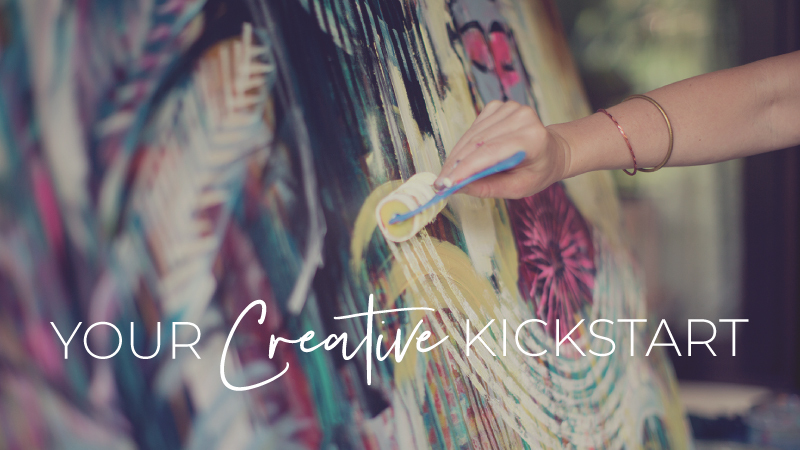 If you’re craving more creativity in your own everyday life, I invite you to join me for The Creative Revolution E-Course. This course is often described as “totally life changing,” and I would love to share the experience with you. Early bird pricing saves you $100, and it ends on September 8th – that’s tomorrow! Check out all the details, including a free Creative Exercise, over on my website. Sending love and prayers of protection to all right now. And a big thank you to everyone who purchased an online course as part of my Houston Relief Effort. Together, we were able to raise and donate $3,760 to The Texas Diaper Bank, The Houston Coalition for the Homeless, and Austin Pets Alive. I have a hunch this won’t be the last fundraiser we do.